Struggling Abu Dhabi-based airline, Etihad Airways has announced the latest step in its eagerly anticipated transformation plan – changing up its management structure and creating a succession plan for local Emirati talent to one day lead the airline. The announcement comes a few weeks after the airline revealed it had yet again made a huge loss last year. Etihad reported a staggering loss of $1.5billion USD for 2017, saying it had been impacted by “significant” fuel price rises as well as exceptional costs related to two airlines in which it held equity investments – Alitalia and air berlin – falling into administration. Following Etihad’s disastrous equity investment strategy in smaller airlines such as Air Seychelles, India’s Jet Airways and Virgin Australia (as well as Alitalia and air berlin), the carrier has been focusing on cutting costs and trying to turn the business around. The carrier recently said a “strong focus on efficiency” had reduced costs by 7.3%. “We are already seeing positive results even during this early phase of our transformation,” commented Tony Douglas, the chief executive of the Etihad Aviation Group. Douglas says the group is now “well equipped” to become a “reinvigorated innovator brand” and support a vision set by Abu Dhabi’s leaders to put the city on the global stage and diversify the Emirate’s economy. Today’s announcement will see Etihad shake up its management structure with a number of key personnel swapping roles and changing responsibilities. Douglas will take on responsibility for the airline as well as the wider Etihad Aviation Group, while Peter Baumgartner, who has been the chief executive of Etihad Airways since 2016 will now serve as Senior Strategic Advisor to Douglas. Douglas was hired by Etihad late last year to spearhead a transformation programme at the carrier. He once headed London’s Heathrow Airport and was in charge of procurement at the UK’s defence ministry at the time of his appointment. He replaced James Hogan, who was ousted as the architect of the failed equity investment scheme. Meanwhile, Robin Kamark, formerly of SAS and previously serving as the chief executive of Etihad Airways Partners will become Etihad’s, Chief Commercial Officer. Ray Gammel who has held a number of roles at the airline and was interim group CEO when Hogan left the company will take over Etihad Airways Partners. Etihad has been forced to make a series of brutal cutbacks in the last two years – Swinging cuts to onboard service have been made and the airline has been forced to retreat back from a number of markets. In the last few months alone the airline has announced it will reduce service to New York’s JFK, Los Angeles, Colombo, Kathmandu and Seychelles. The airline will also end services altogether to Dar es Salaam, Dhaka, Edinburgh (Scotland), and Perth (Australia). Rumours abound that executives are set to cancel or substantially change aircraft orders that the airline has with both Airbus and Boeing and which are worth billions of dollars at list value. 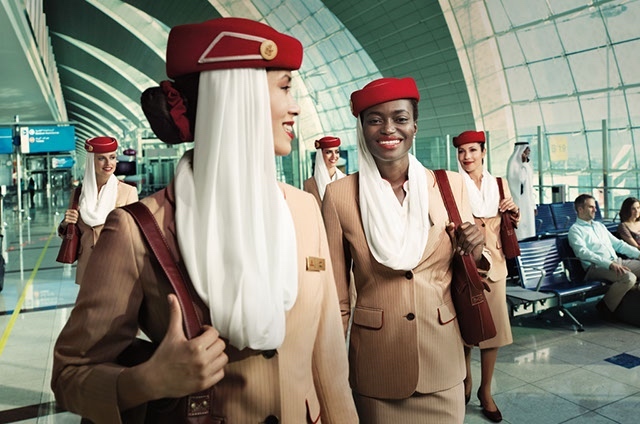 We’ve also learned that Etihad will offload around 200-pilots on long-term secondment to rival Emirates. Nonetheless, Douglas maintains that these latest changes will enable Etihad to “meet the challenges of an aviation industry in constant flux.” As part of a deal with the US government, Etihad has agreed to publish fully audited accounts from next year – they could make for very interesting reading.